820 signatures from people who have evidence in support and who have signed the petition. Mr Habib is expected to be released from the US naval base in the next few weeks. "We've already interviewed Mr Habib as part of the process in trying to determine whether any offences had been committed under Australian law," he said. "We will maintain our interest not only on Mr Habib but also on anything that's of relevance to terrorism in this country. "At this point in time there's no evidence to suggest that Mr Habib has committed a crime under Australian law." "When in fact he is the worst of the worst taunted" No question about it today on Four Walls and repeated at your leisure. One of the accused war criminals Phillip Ruddock said last week that Mr Habib should not profit from telling his story because under the proceeds of crime legislation, on the balance of probabilities, Mr Habib may be prevented from being paid because he has committed a crime? The fact that Ruddock made this statement and is one of the accused and alleged perpetrators of the crime is not amusing. 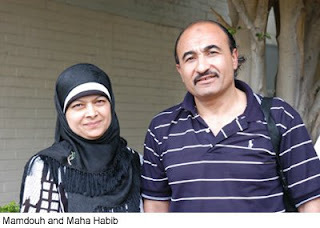 Mr Habib was initially taunted by the ADF, ASIO and the AFP and at the very least Ruddock and his co-offenders were complicit with the US government in the illegal and degrading torture of Mr Habib. The Australian Governments complicity in his torture and the fact that those authorities overlooked the whole crime is offensive. To go on and continue to threaten this citizen by stalking him, and by trying to infer that on the balance of probabilities he may have committed a crime in the USA or elsewhere only makes theme look more guilty! Mr Habib can tell his incredible and extraordinary story and should get paid for it in the process after not being able to earn any money for his family for over three years to date!